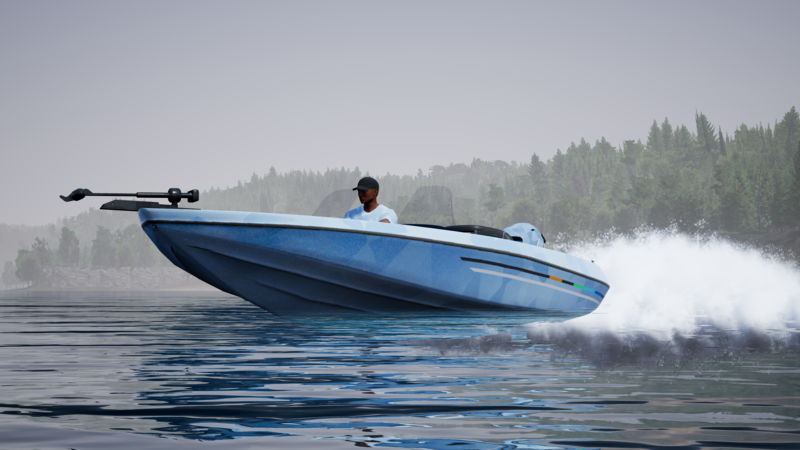 As part of the Monster Reward Update, we’ve upgraded Dovetail Live within Fishing Sim World. 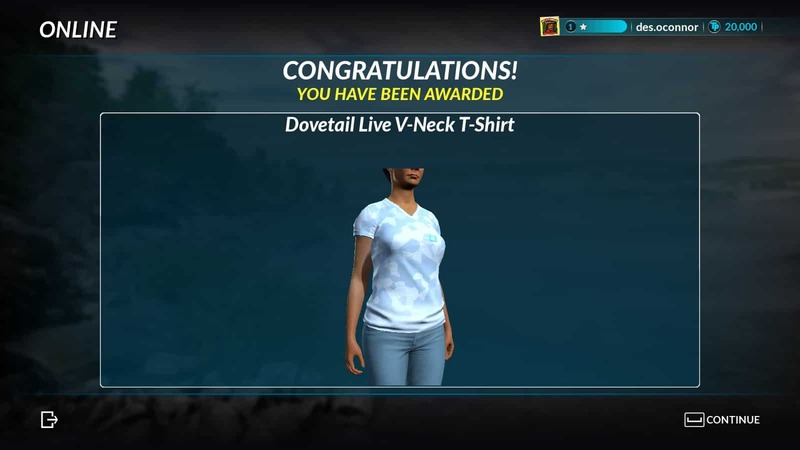 As a main reward, anyone who has registered and logged into Dovetail Live within Fishing Sim World will receive two pieces of free equipment. To receive these two items, sign into Dovetail Live and go to the online menu option. The game will recognise if you are entitled to any items and unlock the items for you. All items can be found and equipped in the customise menu section. 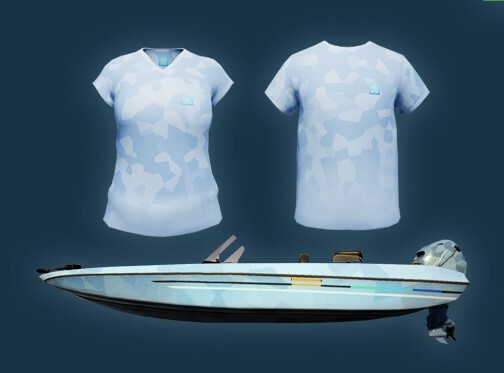 A new t-shirt with a classic blue digital camo design that you can wear on any of the lakes in-game! Finally, you can stay up to date with all the latest news by reading Dovetail Live articles directly in-game! Keep looking online for Dovetail Live rewards coming in the future.